We have put together 36 smashing hot mehndi designs for hands which will have cleared our billboard for the most inspiring designs ever. 2014 had seen a real revolution when it came to mehndi or henna art. 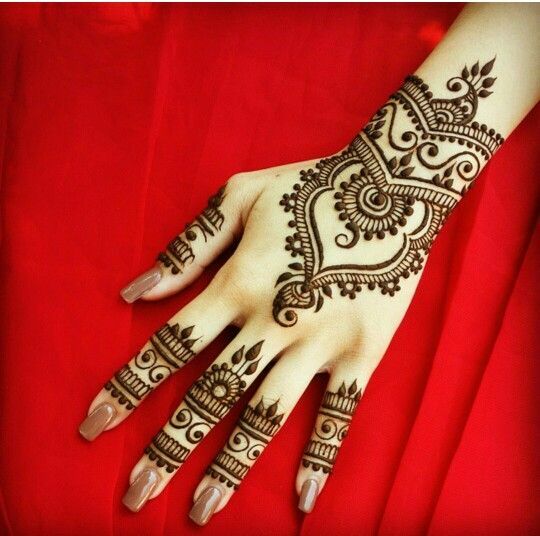 Whether it is the relatively recent turn towards Moroccan mehndi designs, to the growing popularity of contemporary and minimalistic designs, we had seen a lot of defined trends and styles last year. We have put together 36 smashing hot mehndi designs for hands which will have cleared our billboard for the most inspiring designs ever. 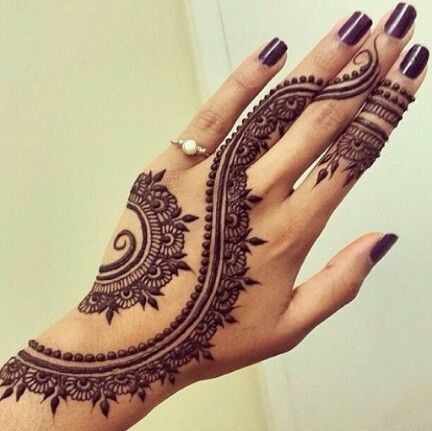 One of the most common and stunning trends of the past year was using mehndi as a sort of replacement for jewellery. If you look closely a lot of these designs had encircled fingers which pose as rings and ornately designed elements at the wrist which act as a bracelet of sorts. The arrangement of the elements of design is enough, no extra frills – no peacocks, or mangos in most cases. The fillings are entirely made of the tiniest circular waves, feminine yet very chic to look at. There are many different variations of this type of a trend. In some cases the back of the hand is adorned with an elaborately designed disc which is surrounded with leaves and delicate flowers. The overall effect is one of absolute elegance, while keeping it totally simple. 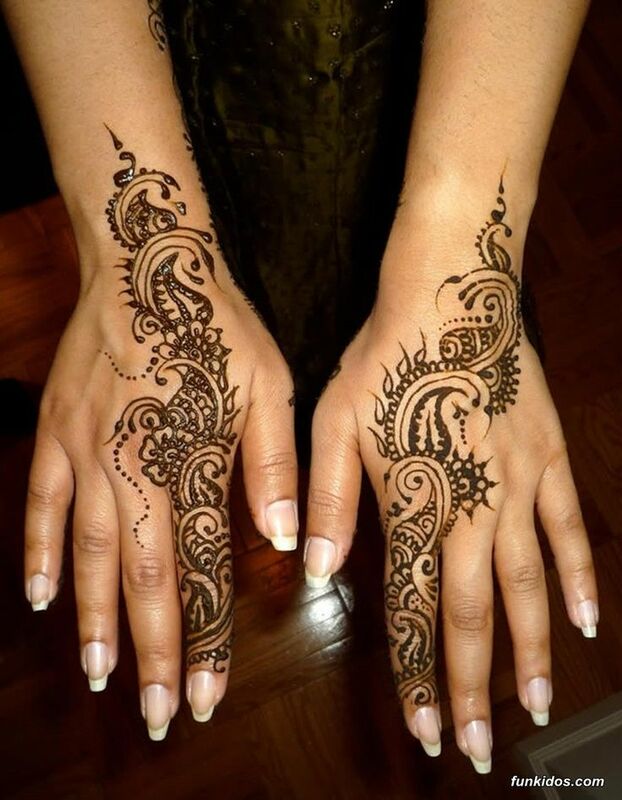 Contemporary mehndi designs have steadily gained popularity when it comes to palm of the hand designs. 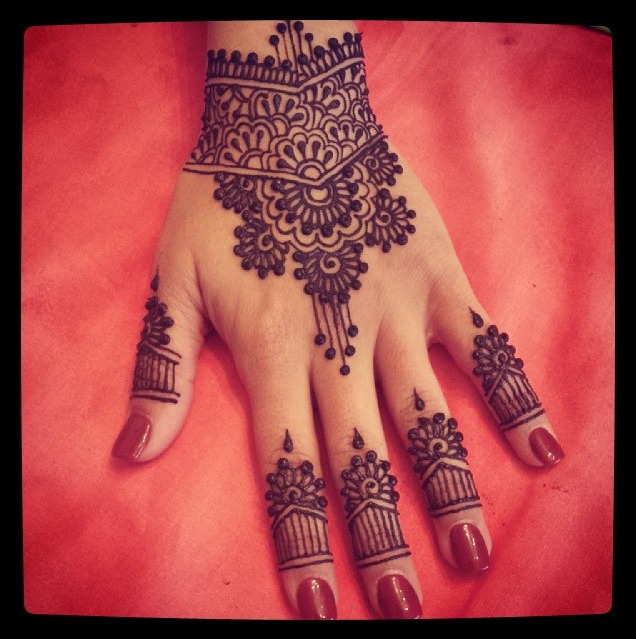 The simplicity of Moroccan mehndi is well received and every mehndi loving girl has given them a shot. The interesting thing to note when it comes to the design of the disc and rings is that it is extremely close to the traditional Indian design of the disc in the centre with largely colored fingertips. The mixture of modern mehndi designs with this basic and traditional mehndi template gives an impression of a traditional but fashionable design. It is perfect for those of us who are a little wary about mehndi too, as it serves to fit very well with all our Indo western clothes. There was a time when elbow length mehndi used to take hours and hours to complete. 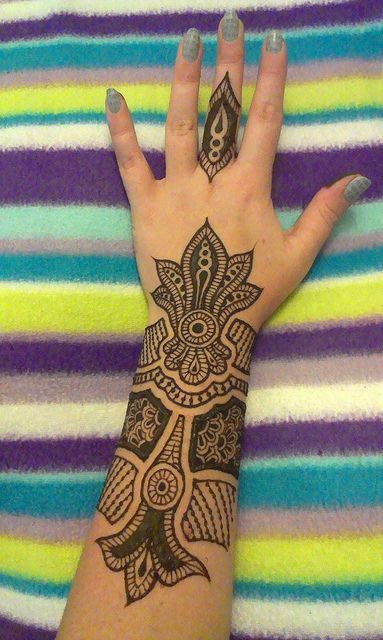 Nowadays, the process is simpler because more and more girls are leaning towards a different approach to elbow length mehndi. 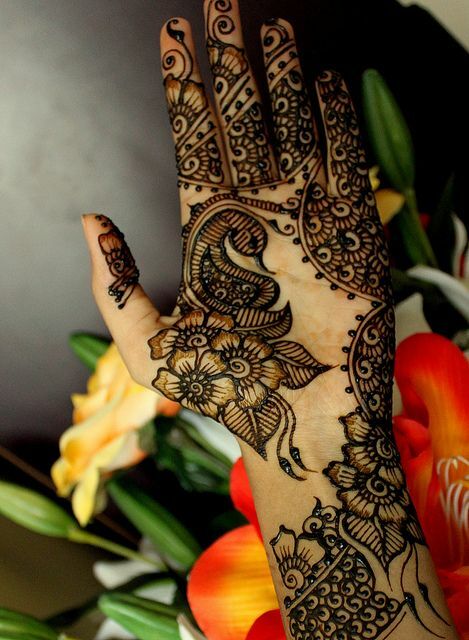 Some opt for the eternally gorgeous symmetrical mehndi design where the gaps complement each other. Still others opt for bolder, bigger designs which allow for space to breathe and do not look cramped or boring. Multiple variations are available out there for the girl who is willing to experiment. Most girls are staying away from using the same old, same old peacocks which have for so long been inseparable with mehndi designs. But some girls have gone ahead and recreated the peacock so that it now appears to be slightly more up to date. Arabic mehndi is still in fashion. It may also have something to do with the fact that it is perfect for those of us not willing to go the whole haul for some far off relative’s wedding. Arabic mehndi has gotten us out of many a tight spot. Only this time, it has come back with a certain sparkle. The designs have become much more original and much less tedious. 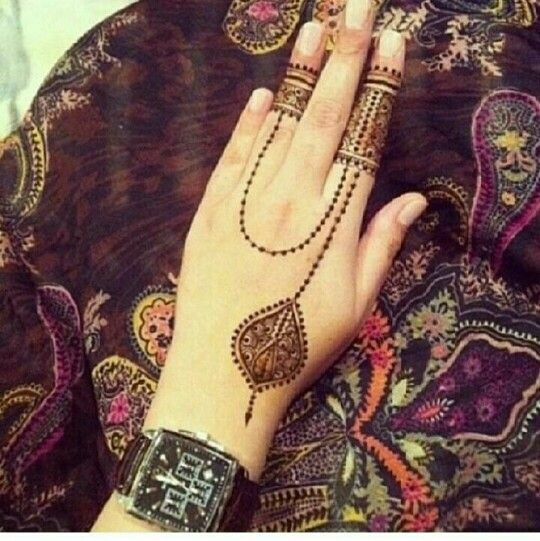 Every girl and every mehndi artist is giving Arabic mehndi a twist of her own with the result that two designs scarcely look alike any more. And so, Arabic mehndi still remains on the best mehndi designs list.